This is the first of a series of vegan Christmas recipes that I will be posting over the holiday period. I’m sort of obsessed with brussels sprouts even though for years I hated them. So I’ve been looking for a way to make them delicious and believe me, I’ve found it. I can eat the whole dish below by myself for lunch. You can use all green sprouts but I found some purple ones in Dublin at Fallon and Byrne, a treasure trove of a food shop. 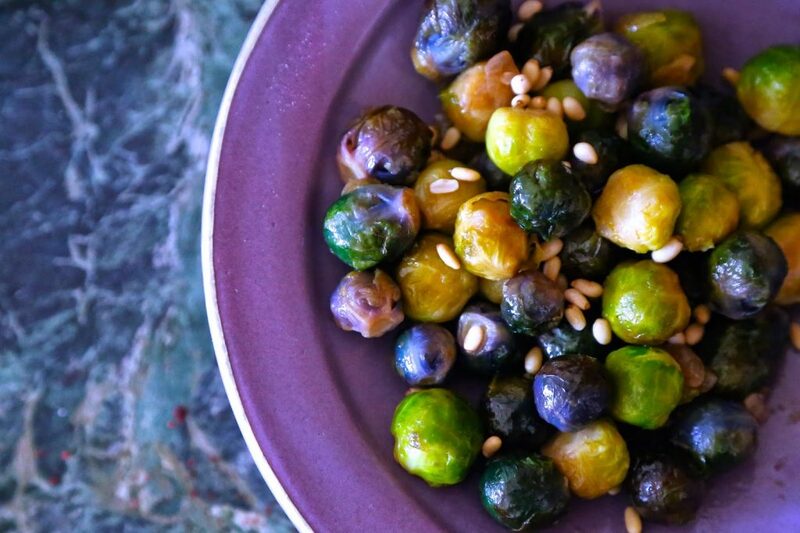 Sweet white wines, either a Gerwurztraminer or say, if you are feeling spendy or have a little left over, some Sauternes, diminish the brassica notes on brussels sprouts and highlight their sweetness. Cut off the bottom part of your sprouts and then parboil them in salted boiling water for 5 minutes. 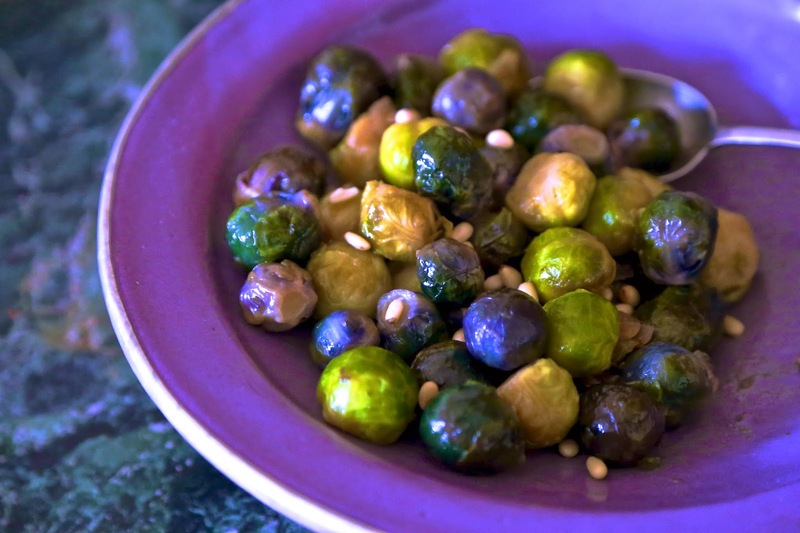 Remove from the heat and put the sprouts into a colander in the sink, dousing them with very cold water. This will preserve the colours. Meanwhile heat up a medium sized saucepan on a medium heat and fry the shallots in the oil until caramelised. Add the garlic and the nut oil. Then add the part cooked sprouts. Leave to cook on a low to medium heat for another five minutes then add the white wine and the pine nuts/almonds. Cook for another minute or two until the alcohol melds with the vegetable juices. Previous Post: « My book MsMarmitelover’s Secret Tea Party is published today! Fantastic recipe, I imagine the white wine gives it a real kick!